The demand for multiracial identity for the children of interracial marriage, however, may be explained in terms of a desire for status as long as we live in a society in which there is still a clear racial hierarchy. The demand that multiracial children be recognized as partly white did not come from blacks.� Nor is it surprising that Susan Graham, a major advocate for the multiracial category on the United States Census found an ally in Newt Gingrich, who opined that such a category might "'be an important step toward transcending racial division.'" The enthusiasm for such alternative classifications leads skeptics to believe that this system of reclassification and the rhetoric of transcendence will make it easy to ignore the reality and the structure of racism. Deborah W. Post, "Cultural Inversion and the One-Drop Rule: An Essay on Biology, Racial Classification, and the Rhetoric of Racial Transcendence," Albany Law Review, Volume 72, Issue 4 (2009):925-926. Miss Jane M. Bolin became on July 22 the first colored woman Judge in the United States when Mayor Fiorello H. LaGuardia appointed her and swore her in as a justice of the Court of Domestic Relations of the City of New York. The appointment is for ten years and the salary is $12,000 a year. Miss Bolin, who in private life is the wife of Ralph E. Mizelle, Washington, D.C., attorney, is a graduate of Wellesley College and Yale law school. She was born in Poughkeepsie, N.Y., the daughter of Gaius C. Bolin, an attorney who for many years was president of the Poughkeepsie branch of the N.A.A.C.P. Following her graduation from Yale law school, Miss Bolin was admitted to practice in New York in 1932. In 1937 she was named an assistant corporate counsel and assigned to the Court of Domestic Relations. The retirement of another justice who had reached the age limit created an opening which Mayor LaGuardia filled by appointing Miss Bolin. 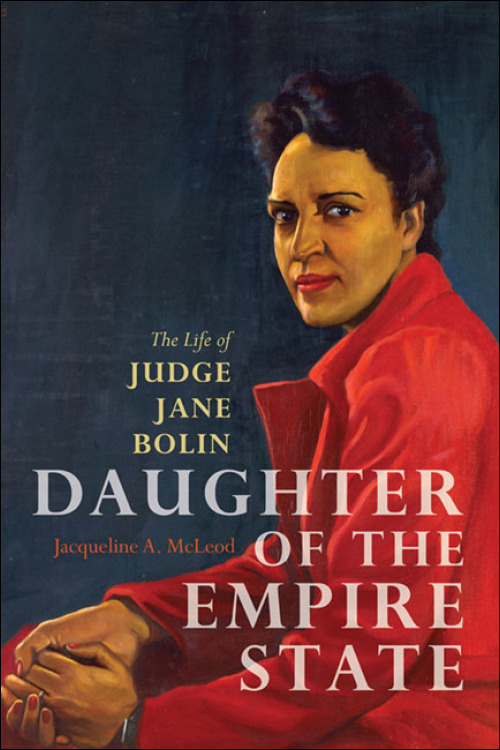 This long overdue biography of the nation’s first African American woman judge elevates Jane Matilda Bolin to her rightful place in American history as an activist, integrationist, jurist, and outspoken public figure in the political and professional milieu of New York City before the onset of the modern Civil Rights movement. Bolin was appointed to New York City’s domestic relations court in 1939 for the first of four ten-year terms. When she retired in 1978, her career had extended well beyond the courtroom. Drawing on archival materials as well as a meeting with Bolin in 2002, historian Jacqueline A. McLeod reveals how Bolin parlayed her judicial position to impact significant reforms of the legal and social service system in New York. Beginning with Bolin’s childhood and educational experiences at Wellesley and Yale, Daughter of the Empire State chronicles Bolin’s relatively quick rise through the ranks of a profession that routinely excluded both women and African Americans. Deftly situating Bolin’s experiences within the history of black women lawyers and the historical context of high-achieving black New Englanders, McLeod offers a multi-layered analysis of black women’s professionalization in a segregated America. Linking Bolin’s activist leanings and integrationist zeal to her involvement in the NAACP, McLeod analyzes Bolin’s involvement at the local level as well as her tenure on the organization’s national board of directors. An outspoken critic of the discriminatory practices of New York City’s probation department and juvenile placement facilities, Bolin also co-founded, with Eleanor Roosevelt, the Wiltwyck School for boys in upstate New York and campaigned to transform the Domestic Relations Court with her judicial colleagues. McLeod’s careful and highly readable account of these accomplishments inscribes Bolin onto the roster of important social reformers and early civil rights trailblazers. 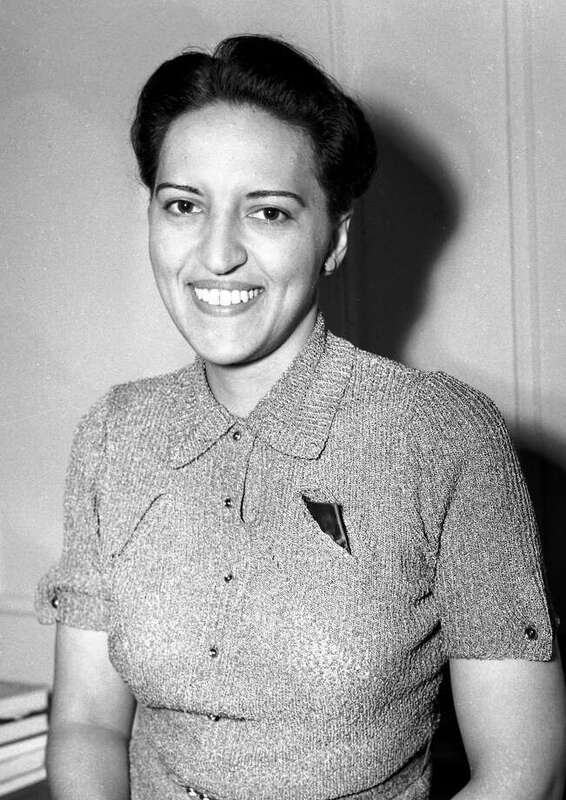 Jane Bolin, whose appointment as a family court judge by Mayor Fiorello H. La Guardia in 1939 made her the first black woman in the United States to become a judge, died on Monday in Queens. She was 98 and lived in Long Island City, Queens. Her death was announced by her son, Yorke B. Mizelle. Judge Bolin was the first black woman to graduate from Yale Law School, the first to join the New York City Bar Association, and the first to work in the office of the New York City corporation counsel, the city’s legal department. In January 1979, when Judge Bolin had reluctantly retired after 40 years as a judge, Constance Baker Motley, a black woman and a federal judge, called her a role model. In her speech, Judge Motley said, “When I thereafter met you, I then knew how a lady judge should comport herself.”. The “lady judge” was frequently in the news at the time of her appointment with accounts of her regal bearing, fashionable hats and pearls. But her achievements transcended being a shining example. As a family court judge, she ended the assignment of probation officers on the basis of race and the placement of children in child-care agencies on the basis of ethnic background.